TONS OF POTENTIAL w/ this oversized double lot. Boat lovers Dream. 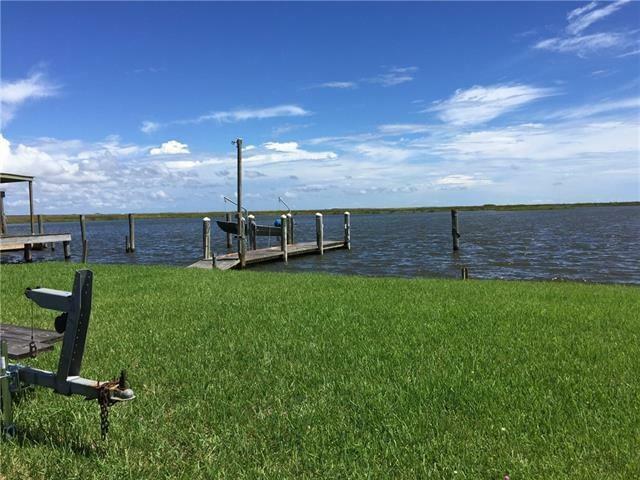 100ft of waterfront property in Irish Bayou over-looking Bayou Sauvage National Wildlife Refuge. Easy access by water to get into Lake Pontchartrain. Property extends back 120ft across U.S. Hwy 11 (aka Ridgeway Blvd). Completely filled, leveled & planted w/ grass. Bulk-head (38pilings), boat launch, & 35ft pier was built in 2009 w/ water, electricity, & davits to suspend a boat. Boat slips on either side of pier w/ about 7ft of water depth.